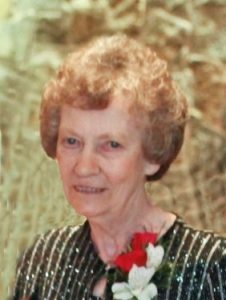 Helen Krupka, 81, of Howells, died Sunday, April 29, 2018, at the Fremont Area Medical Center. Helen was born south of Clarkson on November 30, 1936, to Bohumil and Christina (Benes) Cech. She graduated from Clarkson High School in 1954 and went on to earn a Bachelor's Degree from Wayne State Teacher's College. She taught school and following her marriage to Marvin Krupka, on August 13, 1958, she stayed at home and raised their family. Helen loved her garden, baking, dogs and even had a "house rabbit" named Snowball. She loved the time spent with her family, especially the grandchildren, and was known to feed "everyone" when she had the chance. She was a member of Sts. Peter and Paul's Catholic Church in Howells. 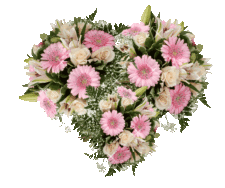 Helen is survived by two daughters; Susan "Suzi" Muller (Jim) Svoboda of North Bend, Laurie (Tim) Kracl of Schuyler, one son, Alan (Cristine) Krupka of Howells, two sisters; LaVerna Skarka of Schuyler and Olga Paulick of Lincoln, three brothers; Lumir (Mary) Cech and Ernest (Linda) Cech of Clarkson and Frank (Bonnie) Cech of Leigh, special family friend Clarence Bayer of Howells, ten grandchildren; Amanda Vincent and fiance Greg Kruger of Seattle, Nick (Niki) Muller of Lincoln, Ashley (Seth) Goeken of Overland Park, Kansas, Chelsea Kracl and fiance Brett Baird, Lincoln, Clint Kracl of Gretna, Samantha Powell of Lincoln, Hunter Nathan of Fremont and Miah Nathan, Nessa and Adyson Krupka, all at home. She is also survived by three great-granddaughters; Alyvia and Brooklyn Muller and Mia Goeken. Helen was preceded in death by her husband Marvin(1990), son-in-law Terry Muller(1991) and a sister, Wilma Hake.